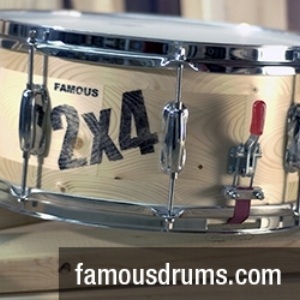 Here’s the latest snare drum to enter the collection. This drum comes from my good friend and fellow collector Mark Cooper of Coopers Vintage Drums (coopersvintagedrums@verizon.net). *We see more Sea Green on drums the late 1920s-early 1930s Slingerland Artist and Fancher Models as Sea Green was in the Slingerland catalog from 1928-1938. 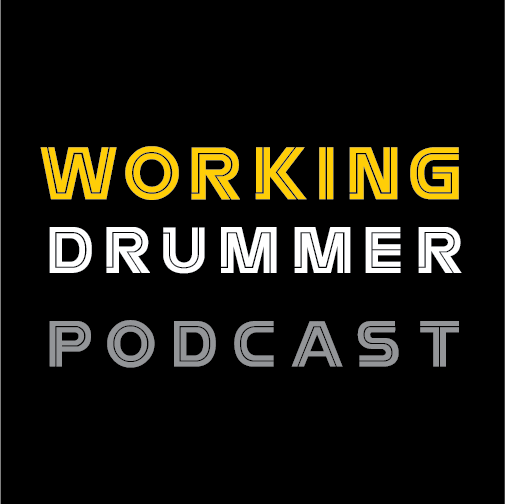 Mark has dated this drum from 1939 to 1941. Mark has also mentioned this is the only Sea Green Radio King that he has ever seen...there is another...more on that later. The Sea Green wrap is in great shape with a tight seam, the cloud badge is secure and the maple interior is clean. The nickel plating is also in great shape and only needed a little touch up. The drum came with of-the-era calf heads and original snares. I included a photo of another Sea Green Radio King that you normally don’t see. 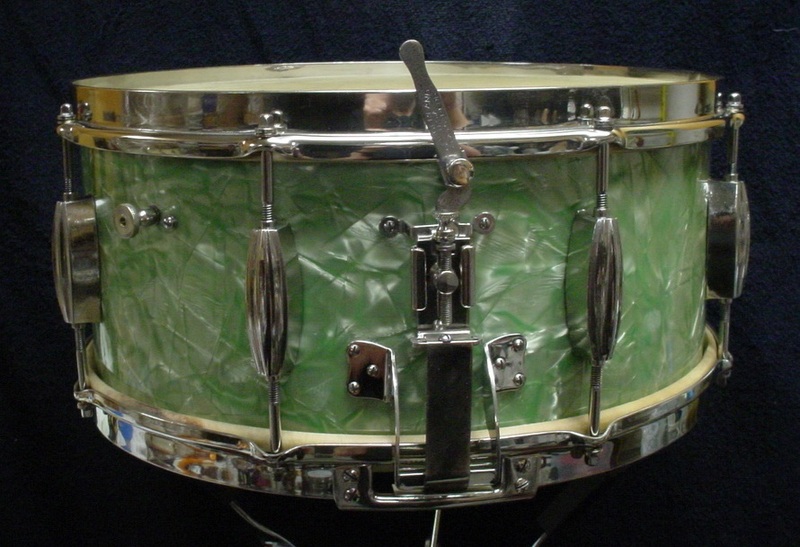 This one is a 1940-42 Slingerland 5.5 x 14 Sea Green Super Gene Krupa Radio King with the Clam Shell strainer.